Fylde Pet Care deal exclusively with one household's pets at a time. All our attention is lavished on your pets whilst they are in our company. We do not offer group walking. So, dogs that don't live together don't walk together. We have a transparent pricing structure with no hidden extras. We charge £7.50 for 20 minutes, £10.00 for 30 minutes and £15.00 for an hour. Pet transport is charged at 50p per mile plus £1 per 5 minutes of our driver's time. For example, a 3 mile journey taking 10 minutes would cost £3.50. 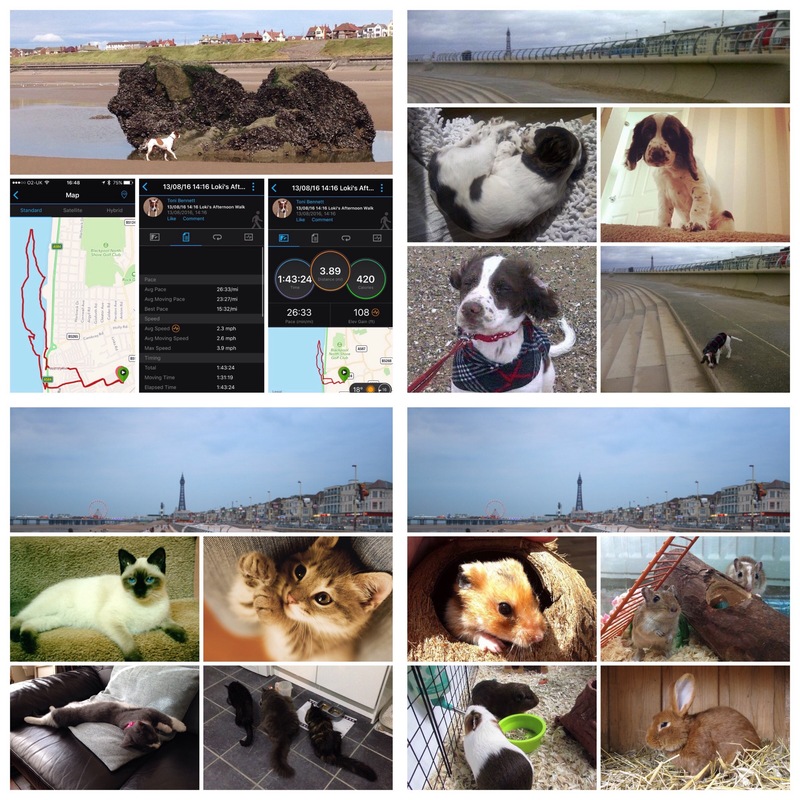 We provide pet care services in and around the Fylde Coast including Fleetwood, Rossall, Cleveleys, Little Bispham, Bispham, Blackpool, Poulton, St Annes and Lytham. Further inland we currently service Medlar-with-Wesham, Kirkham, Wesham and Warton. If you would like a quote for any other service please contact us and we will be happy to assist you personally or point you in the right direction. Your 1st visit or dog walk is absolutely free when you book any regular weekly service, even if you only need our help once a week for 20 minutes. If your puppy or older dog just needs a quick walk in order to relieve themselves then this service is for you. It is also ideal for first thing in the morning or last thing at night. We come to your house and walking from the house, take your dog out for a 20 minute walk. We always put down fresh water before leaving and we are happy to put food out if required and medicate if necessary . If you live close to a park or near to the prom then this could be the option for you paw pal. This service is also ideal for pets that get travel sick. We come to your house and walking from the house, take your dog out for a 30 minute or hour long walk. We always put down fresh water before leaving and we are happy to feed and medicate your pet if required. Does your pet suffer from any allergies? Loki (our dog) is allergic to something! He is walked along the lower promenade at Bispham as often as possible. With the breeze off the Irish Sea, the healing salty air and very little plant life on the cliffs, he has seen a vast improvement in his skin. Our dog walkers will transport your dog to the coast for a full 30 minute beach or prom walk before returning them home. Transport is charged at an additional 50p per mile plus £1 for every 5 minutes driving time. Each journey is GPS tracked using a mileage logger and the data is provided to you after each walk. Do you like to spoil your dog? With lots of fabulous dog walking locations in and around Blackpool, Fylde Pet Care can give your dog a new adventure walk daily. Our dog walkers will transport your dog to Fairhaven Lake, Lytham Green, Marton Mere, Stanley Park, Devonshire Rock Gardens, Kingscote Park, The Beach, Bispham Cliffs, Wyre Country Park, Skippool, Ribby Hall, etc. and then give them a full 30 minute walk before bringing them back home. Transport is charged at an additional 50p per mile plus £1 for every 5 minutes driving time. Each journey is GPS tracked using a mileage logger and the data is provided to you after each walk. If for any reason you require a longer dog walk we are also here to help. Perhaps you have a hyperactive dog that needs wearing out once a day. Or you may have 2 or more dogs that need to be walked separately. Whatever the reason our dog walkers will provide a service that best meets your requirements and the needs of your dog. If you wish your dog or dogs to be transported for their walk we charge 50p per mile plus £1 for every 5 minutes of driving time. Journeys are tracked using a GPS mileage logger and the data is provided to you after each walk. If your puppy is still very young he will need lots of sleep. We will drop in for a 20 minute visit. Whilst we are there we will clean up any accidents, feed your puppy, put out fresh water, play some games, have lots of cuddles and kisses and leave your puppy happy, content, settled and ready for some more sleep. As your puppy grows it will need less sleep and more stimulation and activity. Fylde Pet Care will visit and build training and social skills into your puppy's daily routine. At the same time, we will continue to deliver the Drop In services above. When all vaccines have been given and your puppy is chipped an hour long visit provides time for a minimum 20 minute walk to be added to your puppy's usual schedule. If for any reason you require a longer puppy visit, we are more than happy to help. Perhaps mum is starting to get aggressive towards her pups. Or maybe your little one is poorly. Whatever the reason, our extended visits are available to you if you need them. We do not charge extra for additional cats so often work out cheaper than a cattery. Your cats will be happier in their home environment and you will benefit from the additional security benefits of having home visits from us. If your cat is older and quite solitary, then our Drop In Cat Visiting service could be the option for you. Whilst we are there we will clean up any accidents, clean the cat litter box, feed your cat, put out fresh water, medicate if necessary, play some games, provide cuddles and some grooming. We can also draw or open the curtains, turn a light on or off, remove post from the doormat, etc. A young cat or kitten will enjoy a slightly longer visit in order to allow some extra time for stimulating games, grooming, cuddles and affection. Our Interactive Cat Visits are a great alternative to putting your cats into a Cattery. Our cat sitters will also undertake all of the services within the Drop In Cat Visiting service above. If you cat is recovering from an illness or operation, then our extended cat sitting visits could be the option of choice for you. Alternatively, if your cat is likely to pine for you and needs more company during the day or evening, then this service will meet your pets' needs. With a longer than average service duration, our cat sitters have even more time to pamper your cat. We can even let your cat out for an hour or so each day. Whatever your reason for wanting a longer visit, we are here to help and we will tailor make a service to meet your requirements and your cat's needs. For cats that need company overnight, Flyde Pet Care offer overnight Cat Sitting Visits. Our cat sitters will come to your home around 10pm and stay until at least 6am. We will feed and water your cats, play with them, groom them, clean out the litter tray and actively encourage them to have a cuddle. We will also water plants, open and close blinds, put the post aside, etc. Fylde Pet Care are able to look after a few small caged animals within a home environment. All boarding animals will be regularly fed and watered and have their cage cleaned daily along with a minimum of 10 minutes handling twice a day. There is limited availability so please book early to avoid disappointment. If your smaller pets just need a quick feed, fresh water and their cage or hutch freshened up and cleaned, then our Feed & Clean Visit is likely to be the option for you. Whilst we are there, we will clean their cage, securely place the contents in your external bin, feed your pet, put out fresh water and handle and groom your pet if appropriate. We can also draw or open the curtains, turn a light on or off, remove post from the doormat, etc. If you usually allow your pets some free time out of their hutch or cage, then our 30 minute visit will allow them to have their routine exercise and play time. Or perhaps, you give your furry friends lots of handling and caressing. Either way, this service might be better for fulfilling your pets' needs. Our animal assistant will also undertake all of the Feed & Clean services listed above. Do you require a longer small animal care visit? Maybe you have a menagerie of small animals that can't be serviced within an hour. Whatever the reason, we are here to help you. Fylde Pet Care - Services Fylde Pet Care provide GPS Tracked Dog Walks as standard. The route and statistics are always made available to the pet owner. Pet owners can choose to have entire visits video recorded for a small surcharge of just £2.50 per visit. Please book in advance as we have a limited supply of wearable devices.